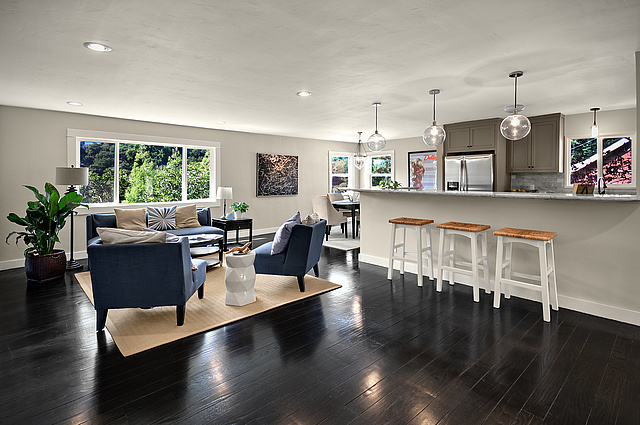 Completely remodeled mid-century modern house on a quiet dead-end lane in Leona Heights (Redwood Heights School District). This charming street, just a block from the rambling, dog-friendly Leona Heights Park, feel miles removed from bustling city living, but is just 3 miles from Montclair Village. The house was designed with modern living in mind – everything feels open, but there is great separation of space. The house features a large open living /dining area with designer lighting, a custom chef’s eat-in kitchen with stainless gas range, Carrera marble counters & custom whisper shut cabinetry, refinished hardwood floors, gracious master suite with huge dual headed shower, family room with balcony, fenced yard with lawn, new roof, new systems, and a 2-car attached garage. Sometimes its the small things that make a big difference. If you agree, you’ll appreciate some of the finising touches like the handcrafted mailbox made in Seattle from Brazillain hardwood, the handcrafted cabinets made by an Oakland carpenter, and the unique light fixtures. Stunning live/work loft in Oakland’s hip Jingletown Art District just across the Park Street bridge from downtown Alameda and its shopping and dining. Spread out on three levels, this loft features such designer finishes as remote-operated window coverings and lighting, custom built-ins throughout, walk-in master closet with Elko organization system, two-story living room and soaring windows. Spare Room/2nd Bedroom comes complete with your own stripper pole! 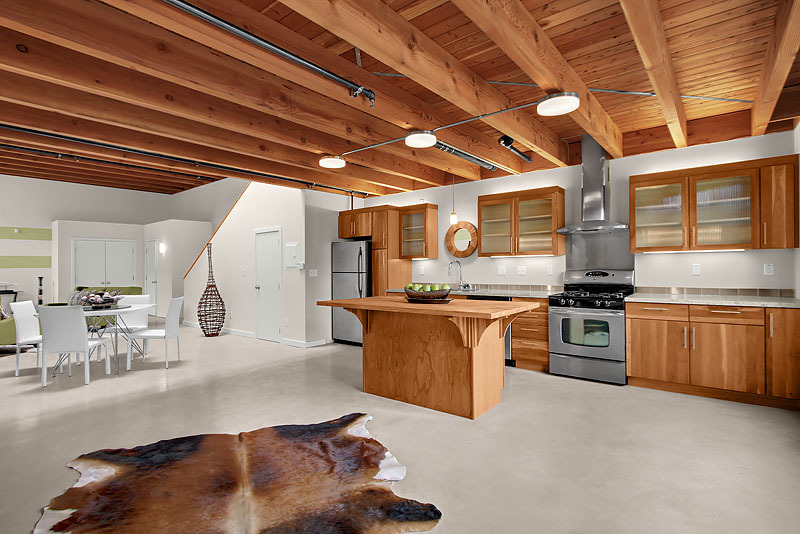 Truly a must-see loft, this space epitomizes urban chic and modern design. First Floor: Modern converted/conditioned 2-car garage with built-in desk (for two), closet, refrigerator, washer/dryer, sink, Murphy bed, dancer pole, custom lighting, storage space and French doors to quiet landscaped patio. Full bath w/ custom tile, multiple shower heads, chic vanity and mirror and other designer touches. This lower level room can be used as a garage again should you desire. Second floor: Open kitchen, living, dining area, with built-in desk and storage. Kitchen includes stainless refrigerator w/ filtered water dispenser, instant hot water, dishwasher, granite counters, polished concrete floors and large pantry. Sliding door to private terrace. Floor to ceiling windows and skylight. Third floor: Master bedroom overlooking living area, with large master bath with shower & large soaking tub. Huge walk-in custom closet with Elko custom storage & organization system. Mid-level patio overlooking black bamboo courtyard. Removable dance pole for fun entertainment and/or exercise. Jingletown is a unique Oakland neighborhood made up of artists, professionals, families, industry, quirky restaurants and a friendly café that displays local art and photography. Located off 880 along the estuary between the Park Street and Fruitvale bridges, it is convenient to the Fruitvale BART Station, freeway access points, the Oakland International Airport, and Alameda’s upscale Park Street. The house is fully updated to modern comfort, it has 3 bedrooms and 2-1/2 baths, central radiant heat and offers 2,200 sqf of living space on 2 levels. The property also features a 250 sqf atelier d’artiste across the courtyard with a summer dining room that enjoys a spectacular view and perspective onto the garden. There is a third building on the side of the courtyard, which includes a wine cellar, a tool shed, and a laundry room. There are two entrances to the property, one from the main street to the courtyard, the other through a gate at the rear of the property to the park. The front door of the house enters into a room with a large fireplace. On the first floor there is a kitchen, a formal dining room and 2 living rooms, one with a fireplace. The 2nd floor has 3 bedrooms, a large library (with an independent stairway) that could also be a 4th bedroom; it also has a full bathroom with a tub. The largest bedroom includes a fireplace; there is a small bathroom adjacent to the third bedroom. Many people from all over the world have invested, in the past 20 years, in secondary houses in Poitou for its affordability, quality of life, west central location and easy access. $1,150,000.00 Grand luxurious custom estate nestled on a ½ acre. Featuring a formal marble tile entry, cathedral ceilings, cherry wood cabinets, library/office, intercom and sound system throughout, in-law quarters, large 2-level sundeck overlooking the custom pool. The master suite offers a secluded getaway with a sunk-in-tub and a private balcony. RSVP on our Facebook page here! Willow Court Lofts :: 3% Buyers Credit Toward Closing Costs! Beautifully Modern Oakland Lofts, starting at only $235,000! Who’s ready for the weekend?! It’s supposed to be a great sunny one for us, a perfect day to come by Willow Court Lofts this Sunday (2-5pm) to check out these NEW PRICE REDUCTIONS + 3% Buyers Credit! The Willow Court Lofts, located at 1695 15th Street, is an 18-unit loft building located in burgeoning West Oakland. 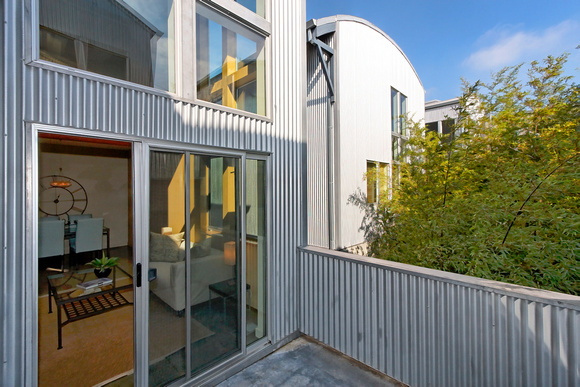 The project, designed by Oakland loft pioneer Thomas Dolan Architecture, features a wide variety of 2-3 story floorplans built around two central courtyards. The project was converted from an existing warehouse and no unit has a residence located above it. These are true live/work lofts designed for creative functionality with concrete and softwood flooring, some units even feature their own roll-up doors. The Willow Court Lofts are conveniently located just .8 miles to West Oakland BART which is just one stop away from San Francisco, 1.7 miles to Jack London Square, the SF Bay Ferry Terminal and the forthcoming Jack London Market, 1.9 miles to the Bay Bridge toll booth, 2.0 miles to Oakland’s Fox Theater which recently underwent the largest historic theater renovation in the history of the United States, and just 7.0 miles to San Francisco. Metro Lofts in West Berkeley: Less than 3-Minute Tour! The Metro Lofts is a brand new loft community with a mix of residential and commercial lofts located on 7th Street @ Heinz in the heart of West Berkeley. These vertical, multi-level lofts have terrific adaptability and separation of space. Entertain and watch the sunset from your huge personal roof deck. Should you go for one of the larger units, you can play billiards in your large ground-floor bonus living space and step outside to your private patio for some fresh air. The mezzanine is open, spacious and looks down upon the living area. These lofts offer more than just a place to hang your hat. They offer a lifestyle. For more information about Metro Lofts, visit Berkeley-Lofts.com or contact Brad Watson at bwatson@caldecott.com or Andy Read at aread@caldecott.com or call 510.594.2400. Oakland, CA – September 30, 2010 – Caldecott Properties, an independent real estate brokerage in Oakland, celebrated its five year anniversary by launching an new website, opening a new office in Moraga and offering property management and investment services. “We are proud to be Moraga’s newest real estate brokerage and the only one with a retail presence. 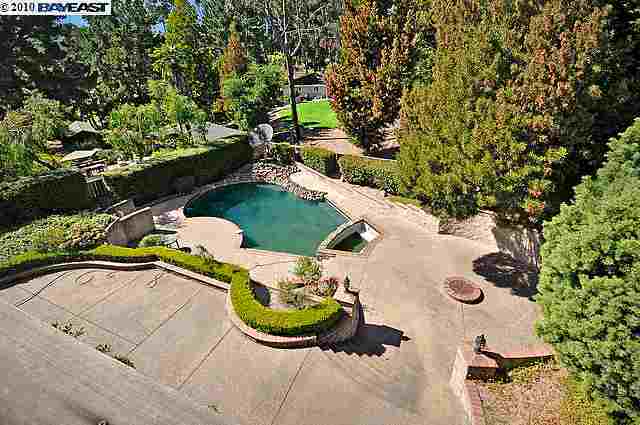 We felt Moraga had been overlooked by other brokerages that opted for Orinda and Lafayette. The Town of Moraga has been exceptional to work with and we are enthusiastic about the opening of the new Rheem Theater, 24-Hour Fitness and new restaurants on the horizon,” said Michelle Vasey, Vice President of Caldecott Properties. Caldecott Properties now offers property management services for residential properties. Unlike other property managers, Caldecott specializes in high-end single family homes, not apartment buildings. “There was a real void for home owners looking for managers offering exceptional customer service and familiarity with local ordinances. Most property managers target apartment buildings because there is more money to make. I am more interested in building long term relationships with home owners,” said Ron Reece, Director of Property Management Services. In addition, Antoine Pirson, Certified Commercial Investment Member, has joined Caldecott as Director of Investment Properties. In this role he will oversee Caldecott’s expansion into the multi-family home market in Alameda and Contra Costa Counties. Caldecott Properties is located at 5251 Broadway @ College Ave. in Oakland, CA and 370B Park Street @ Rheem Blvd. in Moraga. To view the new website, please visit www.Caldecott.com. Caldecott Properties is an independently owned and operated real estate brokerage that serves Oakland, Berkeley, Emeryville, Piedmont, Orinda, Moraga, Lafayette and Walnut Creek. Caldecott Properties proudly supports the local community by showcasing emerging artists in their non-profit art gallery space.